Disabled Americans make up a large and growing part of our population. In general, Americans are living longer, millions of Baby Boomers are reaching retirement age, thousands of disabled vets are returning home, and traffic crashes and other accidents are resulting in a growing number of individuals learning to deal with physical challenges. But no one wants to give up their freedom and independence, particularly their ability to drive. Car companies have long recognized that certain of its customers – or their family members, friends or loved ones, may need some form of adaptive equipment on their vehicles to permit them to retain their independence and have created mobility programs to help ease the burden. Here is an overview of some of these programs, beginning with the oldest and longest-running. The first automaker to provide financial help to consumers to buy adaptive equipment, Chrysler Group now has more than 25 years’ experience in helping customers with physical challenges to get back on the road and on with their lives. The Chrysler Automobility Program, which started in 1987, provides up to $1,000 reimbursement to customers who get adaptive equipment on their new Chrysler, Dodge, Jeep or Fiat vehicles within six months of purchase. Reimburse is based on the cost of the equipment and the category in which they’ve upfitted the vehicle. Whitefield added that the most common adaptation is a lowered floor to accommodate a wheelchair, either an adaptive lowered floor on the side or rear entrance. The number one vehicle for this type of adaptation is the minivan. Chrysler currently has more than 50 percent of mobility claims or market share. 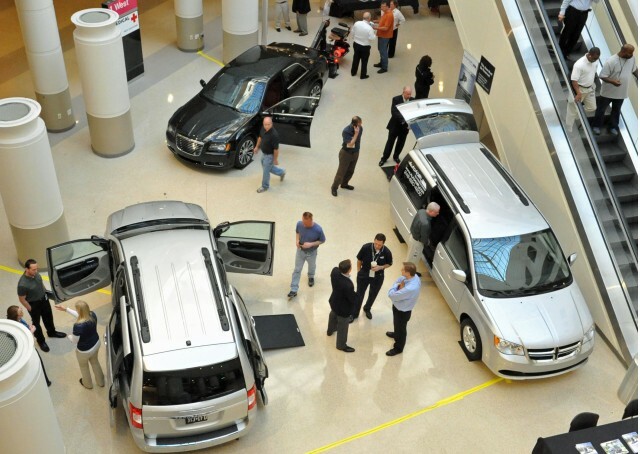 To help get the word out during the first National Mobility Awareness Month, Chrysler held a week-long Automobility event for employees at its headquarters during the third week of May. 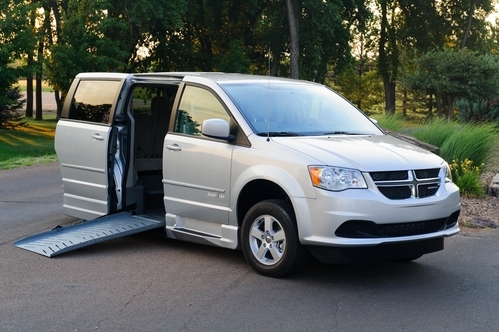 Various types of adaptive equipment were displayed on the Chrysler Town & Country and Dodge Grand Caravan minivans, the Jeep Wrangler SUV, Chrysler 300 full-size sedan, and Fiat 500. See coverage of the event in the video below. For more information about the Chrysler Automobility Program and to obtain application for reimbursement, visit the company’s website, call them at 1-800-255-9877. The Ford Mobility Motoring program provides up to $1,200 reimbursement for adaptive equipment or up to $200 for alert hearing devices and lumbar support. The reimbursement for eligible adaptive equipment is available on the purchase of any new Ford or Lincoln vehicle purchased or leased from a U.S. dealer. Eligible vehicles must have the qualifying adaptive equipment installed within one year of the purchase or lease. Adaptive equipment includes carriers, door openers, hand controls, lifts, parking brakes, power assist seats, steering devices and wheelchair restraints. The Ford Mobility Motoring website has detailed information on selecting a vehicle and cross-referencing the compatible adaptive equipment, the reimbursement program, a downloadable state-specific resource guide on mobility providers, FAQ and more. For questions about eligibility, contact the Ford Mobility Customer Care Center at 1-800-952-2248. General Motors introduced the GM Mobility Program in 1991 to help make it easy and safe for people with special needs and those who care for them travel and to find helpful information about adapting their vehicles with mobility products. Currently, the GM Mobility Reimbursement Program provides up to $1,000 reimbursement for eligible adaptive equipment, plus two additional years of standard OnStar service (available through September 30, 2012). To be eligible, consumers buy a new 2011-2013 Chevrolet, Buick or GMC vehicle equipped with OnStar, purchase and install eligible adaptive equipment, and apply for GM Mobility Reimbursement. Download the reimbursement application form or request that it be mailed on the site. Based on 2011 mobility reimbursements, the most popularly converted GM vehicles are the full-size Chevrolet Express and GMC Savana vans, followed by the Chevrolet Silverado and GMC Sierra full-size pickups and the Chevrolet Equinox and GMC Terrain and Chevrolet Traverse, Buick Enclave and GMC Acadia crossovers. The most common adaptation is the wheelchair/scooter lift, followed by hand controls. For further information on the GM Mobility Program, call 1-800-323-9935 or TTY 1-800-833-9935. Consumers with need for adaptive equipment can take advantage of the Honda Customer Mobility Assistance Program and receive up to $1,000 reimbursement for expenses incurred to purchase and install qualifying adaptive equipment on any eligible new Honda vehicle purchased or leased in the United States. Honda will consider reimbursement for those modifications that have been approved by the National Highway Traffic Safety Administration (NHTSA). The written reimbursement request must be received within six months of adaptive equipment installation. The form is downloadable on the Honda Customer Mobility Assistance Program website and can also be obtained upon request from Automobile Customer Service at 1-800-999-1009. 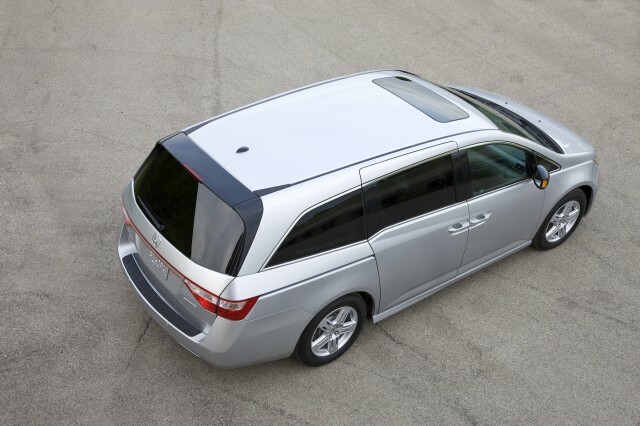 For more information on the 2012 Honda Odyssey, see our review here. 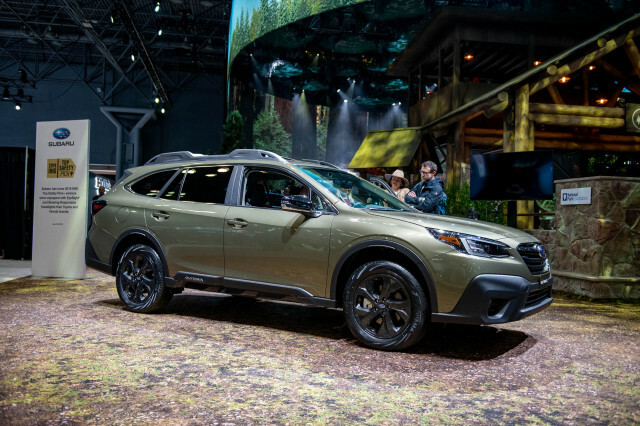 Buyers of new Subaru Legacy, Outback, Impreza, Forester and Tribeca models can receive up to $500 reimbursement for qualifying adaptive equipment. Such equipment includes, but is not limited to, left-hand gear shifter, hand and foot controls, servo-assisted controls, steering devices, pedal extensions, turn-signal modification and wheelchair and/or scooter lifts and ramps. 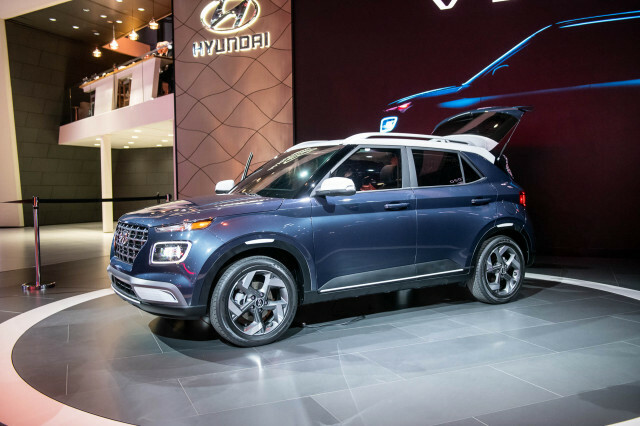 Called Subaru Mobile-It-Ease, the reimbursement program applies only to new Subaru vehicles purchased from authorized Subaru vehicles in the United States. Vehicle modifications must be made within six months of vehicle purchase and a claim form submitted with all accompanying documentation within 180 days of installation. 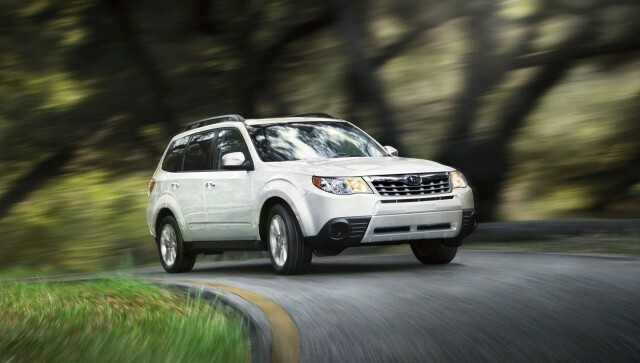 For more information, contact Subaru Customer Dealer Services at 1-800-SUBARU-3 (1-800-782-2783). 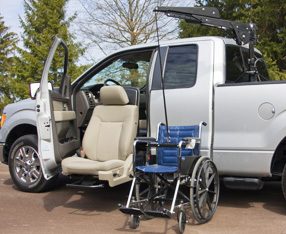 Toyota Mobility began providing mobility solutions back in 2001 by introducing a Tundra pickup with a wheelchair lift. Since that time, the company has expanded its vehicle lines that offer mobility assistance products and has partnered with some of the best conversion companies in the market. 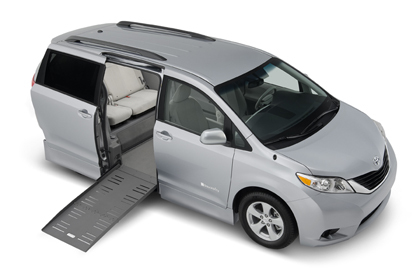 BraunAbility converts Toyota Sienna ramp vans and Bruno Independent Living Aids installs lift-up seats in many of Toyota’s sport utility vehicles, including the RAV4 and Highlander models. Wheelchair lifts, scooter lifts and hand controls are available on most Toyota models. In addition, Toyota offers a factory-installed auto-access seat on the Sienna. Also see our review of the 2012 Toyota Sienna here. 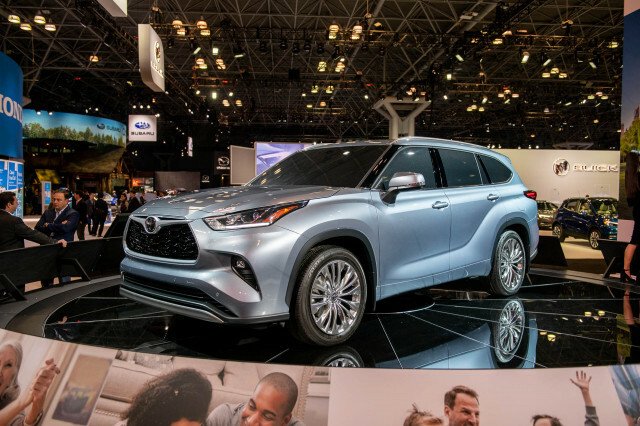 Toyota will reimburse original retail customers of new Toyota vehicles up to $1,000 for the exact cost they paid to purchase and install qualifying adaptive driver or passenger equipment. The adaptive equipment must be installed within 12 months of vehicle purchase or lease. Click here to find out more information on financial assistance and download the reimbursement application at the Toyota Mobility Assistance Program or call 1-800-331-4331. Called Mobility Access, the Volkswagen program provides up to $1,000 towards the purchase and installation of lift equipment, carriers, hand controls, pedal extensions or other assistance equipment o any new and unused Volkswagen model. The effective dates for the Volkswagen Mobility Access program are January 4, 2012 through January 2, 2013. Consumers can get more details and obtain a claim form from a Volkswagen dealer and have a maximum of $1,000 of modifications reimbursed by VW through any outfitter they choose. 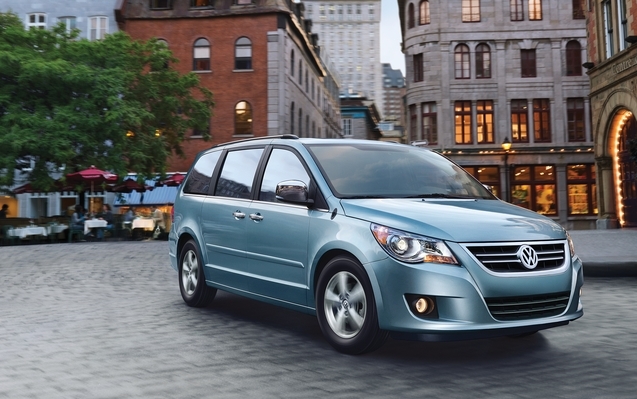 Volkswagen’s most commonly adapted vehicle is the Routan minivan. Mobility by Volvo was launched in the U.S. market in 2004. The program provides reimbursement up to $1,000 toward the cost of adaptive equipment added to an eligible new Volvo and up on $200 on alert hearing devices. Eligible adaptive equipment includes all permanently installed mobility devices necessary for a person with a physical disability to drive or be transported in a vehicle. 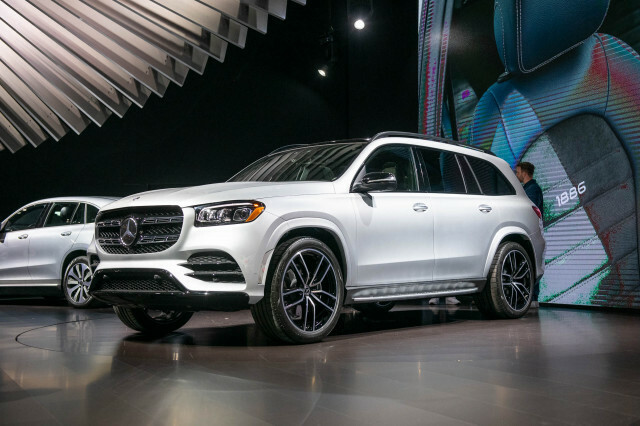 However, options available from the factory or the retailer for installation, such as running boards and power-assisted seats are not considered eligible for reimbursement under the Mobility by Volvo program. Jawanza Keita, technology and product communications manager for Volvo Cars of North America said that the top four Volvo vehicle lines in order of Mobility by Volvo adaption frequency are the XC60, XC70, V70 and S40. Keita added that the top four adaptive equipment types installed by Mobility by Volvo are push-pull hand controls, wheelchair hoists, left foot accelerators and steering assistance devices. These are not mutually exclusive, since some vehicles have more than one type of Mobility by Volvo adaption done. For information on what type of adaptive equipment to buy, how and where to buy and have it installed, first check out the automotive mobility solutions from the National Mobility Equipment Dealers Association (NMEDA). NMEDA is a non-profit trade association of mobility equipment manufacturers, dealers, driver rehabilitation specialists dedicated to improving the lives of people with disabilities and assisting with driving independence using wheelchair-accessible vehicles. Want a live person to talk to? Call the NMEDA help center at 1-866-948-8341.